Since inception, we have provided $47,200 in scholarships to 45 outstanding young men and women. Please read all SECTIONS.....link to ONLINE APPLICATION is located at the bottom of this page. SECTION 1. ABOUT THE RIVER CUP FOUNDATION. 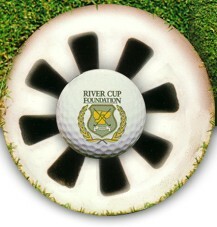 The River Cup Foundation is a federal and state approved not-for-profit corporation whose mission is to further the growth of the game of golf in Central Illinois, and to utilize golf as a vehicle to raise and distribute funds to worthwhile charities in Peoria, Tazewell and Woodford counties. The Foundation’s charitable and scholarship activities focus on the needs of the youth population in the Tri-County area. The Foundation also sponsors annual competitions for Men, Senior Men and Junior Boys, which matches teams from Peoria county against teams from Tazewell/Woodford counties. Additionally, the Foundation hosts an annual fund raising golf outing and sponsors other fund raising activities throughout the year. Be a U.S. Citizen, and either reside or attend school in Peoria, Tazewell or Woodford counties at the time of application. Be a high school senior at the time of application. The applicant must have already been accepted for post secondary education at the time of application OR must show that if awarded a scholarship, the applicant has accepted an enrollment offer for post secondary education. Scholarships may be awarded to any male or female student and will be awarded without regard to physical ability, race, color, creed or national origin. Applicants must have achieved a grade average of “B” or better through their first three and one half years (seven semesters), of high school education. Scholarships will be awarded to those applicants who attend an accredited two or four year college or university within the United States. Vocational schools are not eligible for scholarship application under this program. Immediate family members of any current River Cup Foundation Officer, Director, or affiliated person are ineligible for this program. Strong consideration will be given to applicants who have shown an interest in improving their environment through participation in extra curricular and/or community and charitable activities. Have currently or in the past held a CDGA or USGA handicap card. All applicants must be of high moral character and provide references. The preferred method for applying for a River Cup Scholarship is at the Foundation’s website at www.rivercup.com. At the website you will find all the information needed to complete your application. Scholarship recipients will be notified of their award in June of 2019 and the awards will be announced at the 2019 Junior River Cup Dinner on August 2. Applications must be received by May 1, 2019 After that date applications will be ineligible for consideration.